You've RSVP'd to all your holiday events and now comes the tough part - deciding what to wear. Whether it's the office holiday party, a fancy New Year's Eve bash, the casual family gathering, or a glamorous gala, this is the time of year to go bold in festive, sparkly attire. Sure, sequins are a given when it comes to the holidays, but I also love the idea of wearing (and layering) sumptuous textures such as velvet, lace, faux fur, and suede. 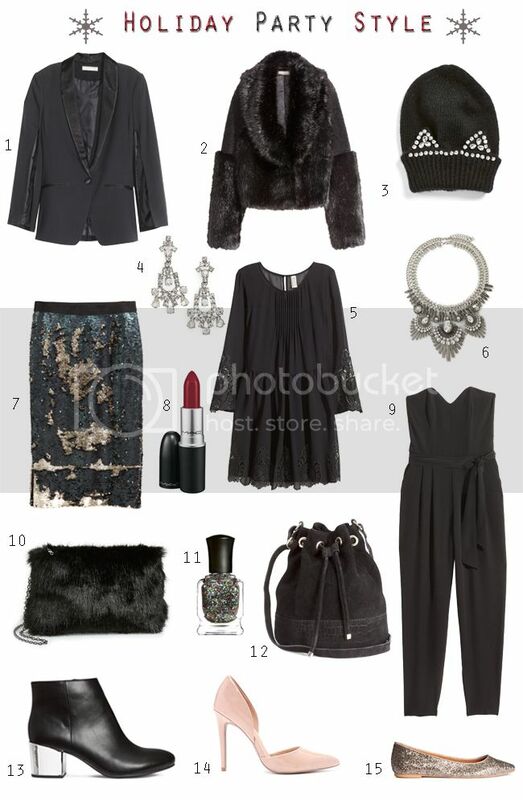 In fact, I just bought this button-front faux suede skirt, this shaggy faux fur vest, and these sequin leggings. The main style tip I live by for the season is: when in doubt, wear black. It never fails to look party-ready and chic for whatever the season may bring. Presenting fifteen of my favorite party perfect pieces under $100. Cheers to a stylish holiday season!